- NWA Central States Tag-Team Title Tournament (February 3, '80) = Ed Wiskowski & the Avenger lost in the first round to Rock Hunter & the Assassin. Bruiser Brody & Ernie Ladd won the tournament. - NWA Pacific Northwest Owen Promotions 60th Anniversary Show (May 21, '85) = Mega Maharishi beat Billy Two Eagles. - NWA Pacific Northwest Tag-Team Title Tournament (June 8, '85) = Mega Maharishi & Buddy Rose defeated Billy Two Eagles & Steve Simpson, then lost to Bobby Jaggers & Ricky Vaughn. Mike Miller & Karl Steiner won the tournament. - Mid-South Coliseum (November 25, '85) = Mega Maharishi fell to Jerry Lawler. - Mid-South Coliseum (December 9, '85) = Mega Maharishi won over Tojo Yamamoto. - Mid-South Coliseum (December 16, '85) = Mega Maharishi took down Tracy Smothers. - AWA/NWA Rage In A Cage (April 28, '86) = Col DeBeers defeated Davey Gee. - AWA Battle By The Bay (June 28, '86) = In a dark match, Col DeBeers pinned Brad Rheingans. - AWA Brawl In St. Paul (December 25, '86) = Col DeBeers lost, via Countout, to Jimmy Snuka. - Mid-South Coliseum (September 19, '88) = Col DeBeers, Teijo Kahn, & Soldat Ustinov fell to Sgt Slaughter & the Rock-n-Roll Express. 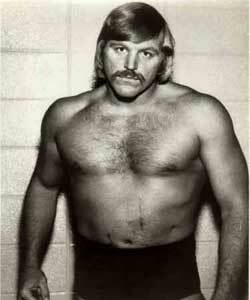 - AWA SuperClash III (December 13, '88) = Col DeBeers lost a "Boot Camp" Match to Sgt Slaughter. - NWA Pacific Northwest Tag-Team Title Tournament (April 21, '89) = Col DeBeers & Nord the Barbarian took down Rex King & the Midnight Soldier and Karl Styles & the Grappler, then lost in the finals to Steve Doll & Scott Peterson. - AWA War In The Windy City (June 23, '89) = In a dark match, Col DeBeers won a "Loser Gets Painted Yellow" Match over Derrick Dukes. - AWA Team Challenge Series (October '89 / August '90) = DeBeers' Diamondcutters competed in the league, which was won by Larry's Legends. - AWA SuperClash IV (April 8, '90) = Col DeBeers lost, via Countout, to Baron von Raschke. - UWF Beach Brawl (June 9, '91) = Col DeBeers lost a "Strap" Match to Paul Orndorff. - Wrestle Reunion (January 29, '05) = Col DeBeers, Bob Orton, & Buddy Rose were beaten by Roddy Piper, Jimmy Snuka, & Jimmy Valiant.